When it comes to exotic vacations, few destinations beat the convenience and proximity of Puerto Rico’s oceanside resorts. After all, no visas are required for U.S. residents, direct flights between New York and Puerto Rico operate daily, and there is no language barrier that hinders exploration. 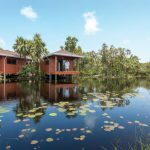 Yet when it comes to luxury travel suited to a specific purpose—a reunion with extended family or a company meeting—it can be difficult to narrow down the right accommodations for the occasion. 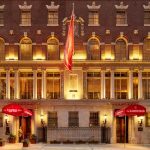 Hilton’s Luxury and Lifestyle Brand, however, has the answer. 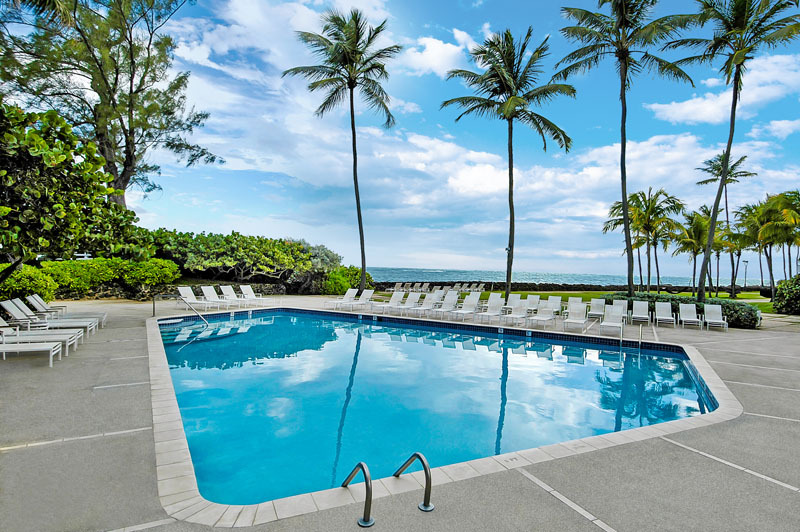 A leading name in hospitality, the Hilton Worldwide portfolio offers two resort options with just the right features for families and business travelers: El Conquistador Resort and Las Casitas Village, Waldorf Astoria Resorts, and the Condado Plaza Hilton. If you’re considering a relaxing family vacation this winter—one where all members actually enjoy themselves and the last day doesn’t initiate a sigh of relief—you’ve found it. Both Waldorf Astoria sister resorts—El Conquistador Resort and Las Casitas Village—are recipients of TripAdvisor’s 2015 Certificate of Excellence, and Las Casitas Village has been recognized earlier this year as a finalist in TripAdvisor’s 2015 Travelers’ Choice Awards. So, clearly, this is a shared sentiment. 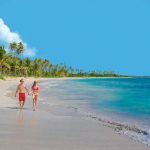 And you’ll find something for everyone at the extensive 500-acre property that houses the five villages composing El Conquistador Resort, one of them being the luxury Las Casitas Village. 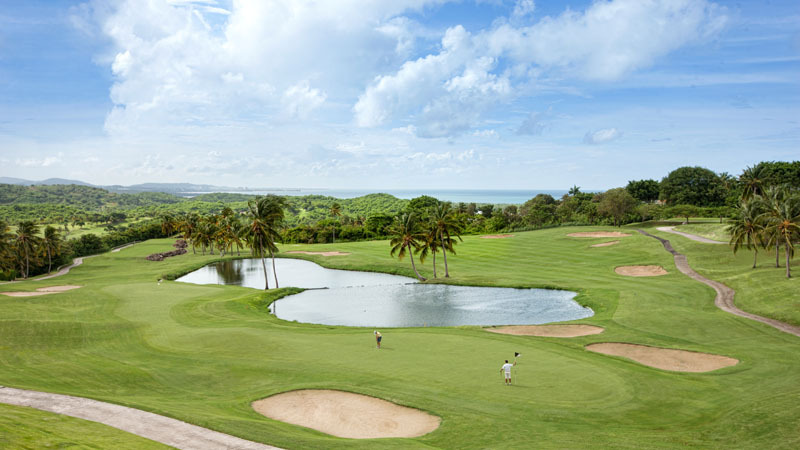 First of these will probably be the Arthur Hills championship golf course: 18 holes of green grass that connect with solid blue sky as a private car takes you up the driveway from the resort gates. 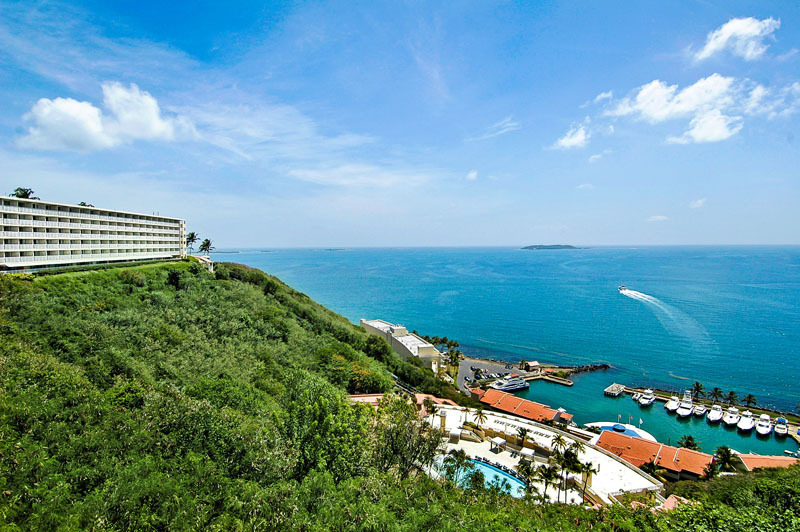 Thanks to the nearby Luis Munoz Marin International Airport, which is located just 31 miles west, your travel time to Fajardo, Puerto Rico from New York is never long, even for those asking “are we there yet?” every few minutes, and by afternoon you are ready to explore all that the resort has to offer. 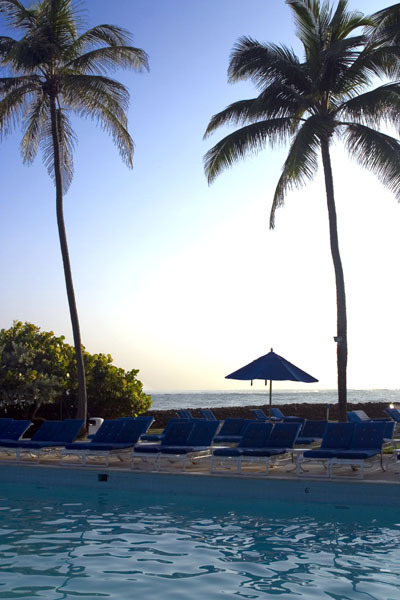 You may decide to visit one of seven swimming pools on the property. One of these—the Infinity Edge Pool of Las Casitas Village—has arguably the most gorgeous view of all, as it faces not only Palomino Island—the 100-acre private island open to guests of both El Conquistador Resort and Las Casitas Village—but also the meeting point of the Atlantic Ocean and the Caribbean Sea. A sunset swim here is unlike any other. As you float high above the horizon, the sun sinking to meet it, you can finally surrender to paradise while the available 24-hour butler service at Las Casitas Village takes care of all the rest. 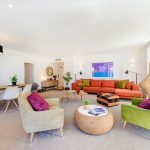 That means setting up your villa—whether it’s a one, two, or three-bedroom space—to your personal taste prior to arrival, unpacking your luggage, even orchestrating a family dinner for that first night can all be arranged. At Las Casitas Village, you waste no time getting your “you” time. The next morning, wake up with a cup of coffee from Casitas Café—an open-air restaurant-lounge that faces the ocean and offers a full à la carte breakfast—while the kids splash in Las Casitas Village pool. 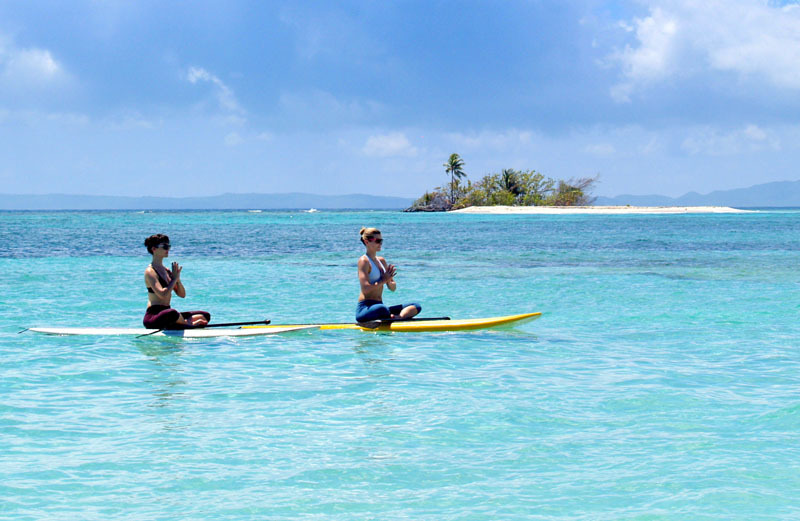 Then descend to the 35-slip private marina, catch a short ferry to Palomino Island, and spend the full day in the sun with everything from snorkeling to paddle boarding to kayaking at your fingertips. 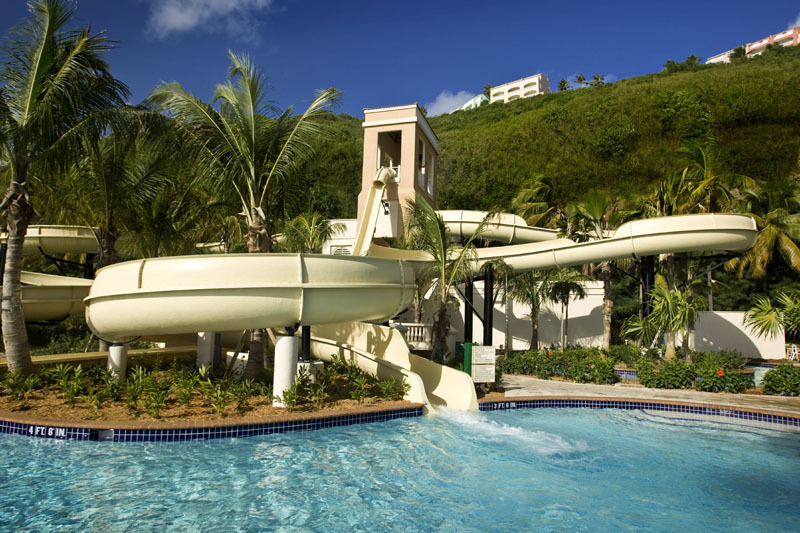 Catch the last ferry back to the mainland for the night’s activities, or head to Coqui Water Park for more water fun. This state-of-the-art construction—complete with three high-speed water slides, a “lazy river” with inflated tubes, and an 8,500-square-foot infinity pool—will keep kids of all ages entertained, and even adults will enjoy El Gigante Dormido (The Sleeping Giant) with its 40-foot drop. 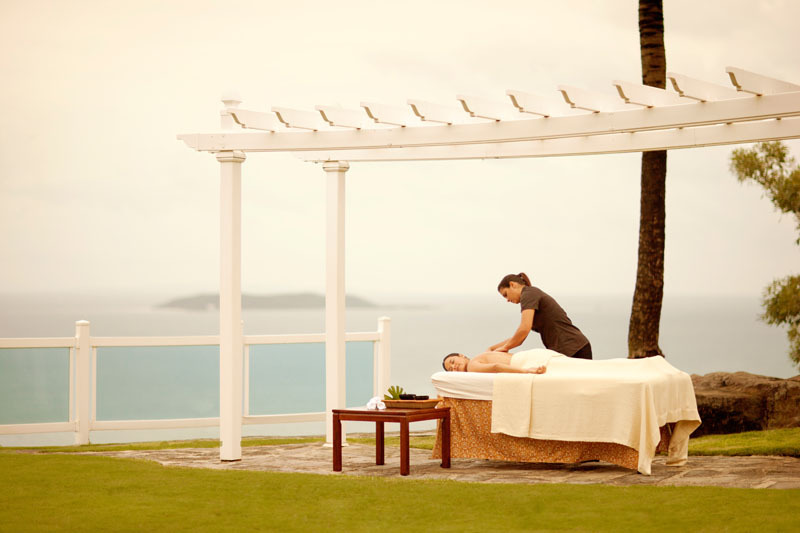 For a more leisurely afternoon, consider the Waldorf Astoria Spa. Choose from a variety of treatments, including the unique coffee scrub treatment that uses coffee grounds from the on-site Starbucks. Then again, consider Ki’ Spa—a spa experience for kids that introduces them to healthy living and quality local products. Just remember to arrive before your scheduled appointment to enjoy the facilities, like the steam and tea rooms, to their full extent. If it’s night and you feel like getting away, you can rely on True Waldorf Service for dependable babysitting arrangements. Make a romantic escape to Chops Steakhouse for Filet Mignon, Pistachio Grouper, or the local favorite Mofongo—a plantain-based dish prepared with spices and pork—in a seductive, mood-lit décor. 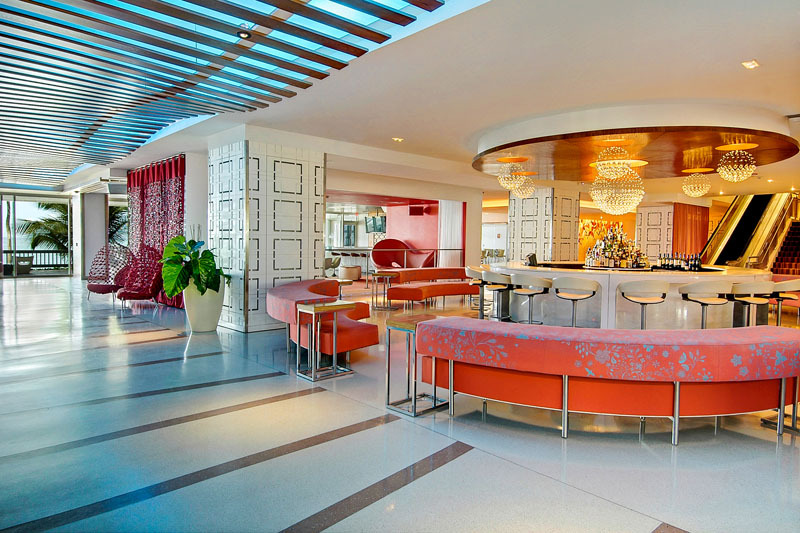 Or return to the marina dock where seafood dishes, like Seared Dorado Escabeche and Broiled Lobster Tail with Fine Herb Beurre Blanc, reign supreme. 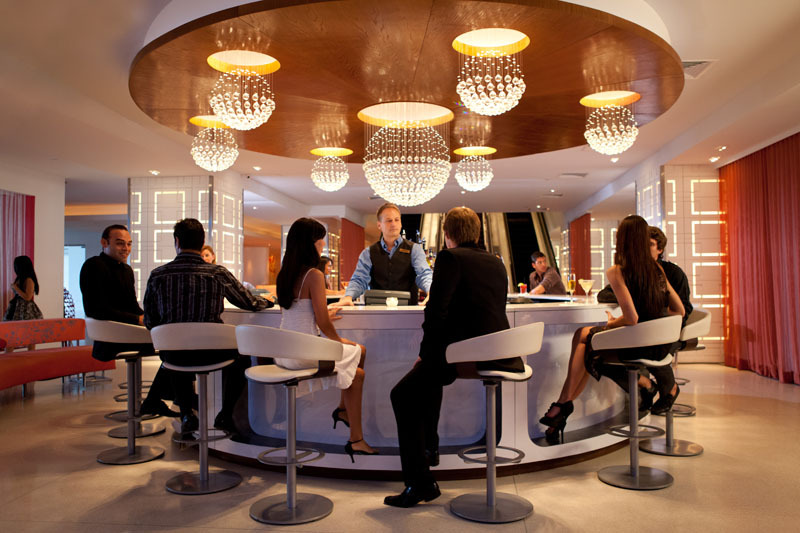 There are a total of 23 different restaurants, bars, and lounges at El Conquistador Resort and Las Casitas Village, so there is never a shortage of nightlife activities. And if you’re planning a large party or private event, True Waldorf Service has got you covered here too. 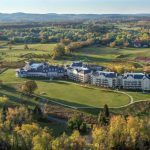 With over 100,000 square feet of flexible indoor and outdoor meeting space, the resort is able to accommodate guest lists both long and short. Its 21,090-square-foot Grand Atlantic Ballroom is one of the largest ballrooms in Puerto Rico, and its 19,982-square-foot Grand Caribbean Ballroom is not far behind. 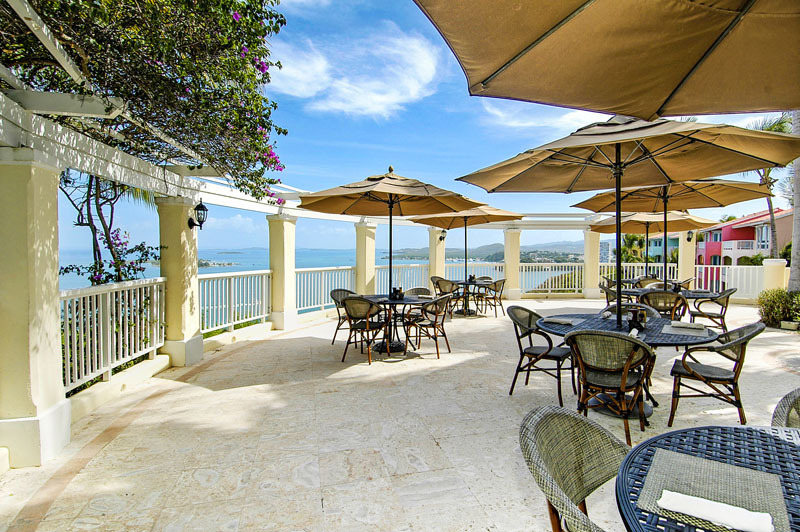 Furthermore, the outdoor Atlantic Terrace, Caribbean Terrace, and Mirador Terrace provide elegant settings for cocktails or receptions with beautiful ocean and El Yunque Rainforest views. 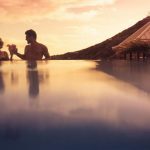 Weddings need not be stressful ordeals—the resort offers Silver, Gold, and Platinum wedding packages, not to mention special pre-nuptial spa treatments—and specific dietary preferences are never a problem, as a world-class catering team is available to assist with meal planning for any occasion. With their versatility and family-friendly accommodations, El Conquistador Resort and Las Casitas Village make it easy to make an unforgettable winter getaway. 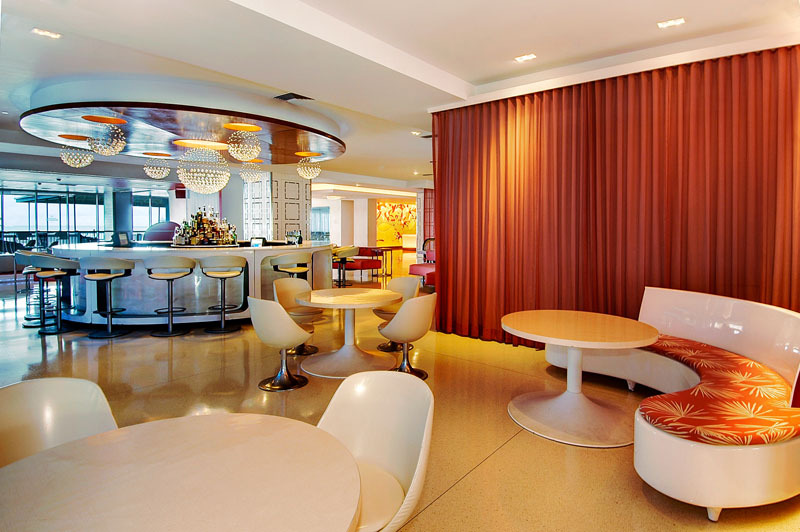 For those who thrive in the urban setting, and who value connectivity in luxury travel, the Condado Plaza Hilton stands out as the embodiment of professionalism and technological advancement. 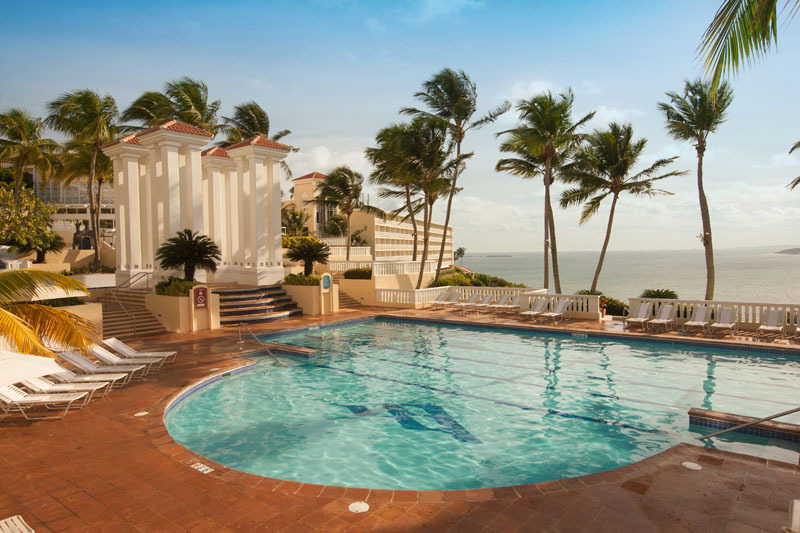 So if your stay in Puerto Rico requires a business agenda, we recommend the convenience of this ocean-side resort located in San Juan’s Condado area. 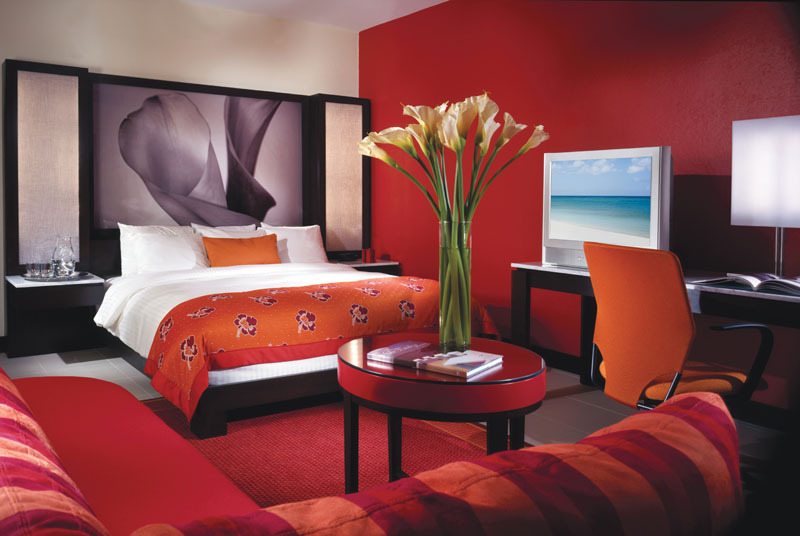 On first glance, the resort may seem formal in its contemporary interiors designed by Leo Daly, in guest rooms finished with fiery tones of red and orange, in sleek shapes that evoke speed and efficiency—yet comfort is never lacking. 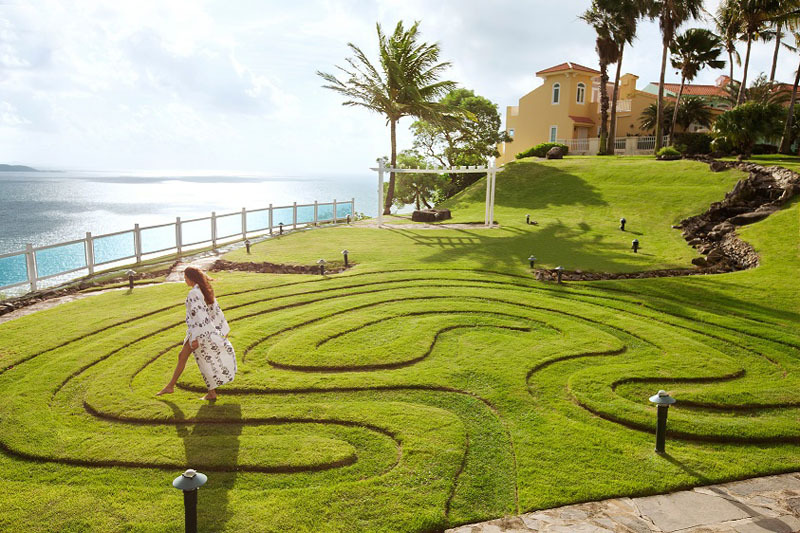 Or perhaps it’s the resort’s 41,000 square feet of fully-equipped meeting space that further push productivity while showcasing San Juan’s exotic location. You’ll find 18 conference-meeting rooms of all sizes—ones that can accommodate from four to 1,000 attendees—in addition to boardrooms, two ballrooms, hospitality suites, terraces, an ocean-front garden, and the main pool area for events both big and small. A state-of-the-art WiFi system now offers attendees premium internet connection capability in any meeting room of the hotel. Furthermore, group members receive a personalized web page to share and organize the notes from each meeting. And to coordinate specific functions online, leaders can use the hotel’s custom e-events website to reserve conference venues, book accommodations, and create catering menus. 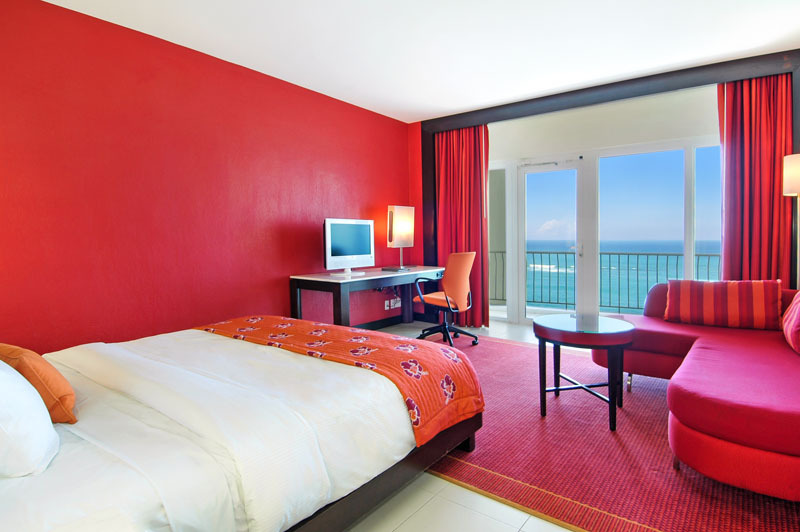 Lastly, the hotels offers an expansive business center—one complete with PC and MAC computers, high-speed internet access, fax machines, and photocopiers—24 hours a day, making all the right tools accessible upon arrival. And with the Luis Munoz Marin International Airport a 20-miute drive away, the Condado Plaza Hilton allows guests to cut straight to business. Take a look again, however. Beyond the dynamic angles of the balcony, you’ll see four outdoor swimming pools—one with salt water and two with fresh water—as well as a whirlpool spa with ocean views, a massage area, and several hammocks for even more captivating shows of water and sky. 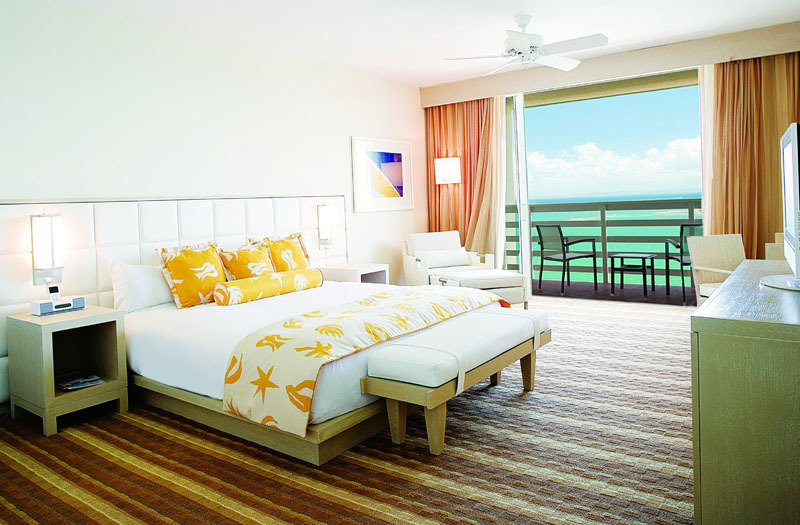 All of a sudden, you’ll find yourself in the middle of the quintessential getaway vacation. 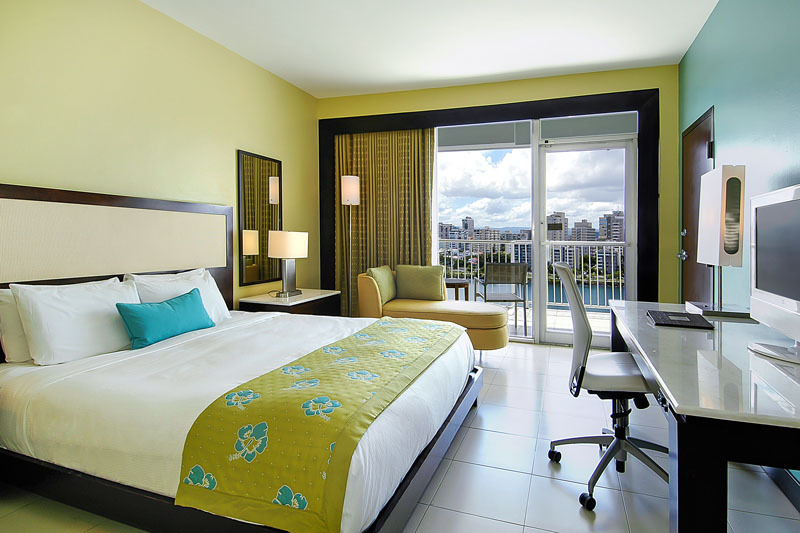 The Condado Plaza Hilton, after all, excels in leisure as it does in business accommodation. 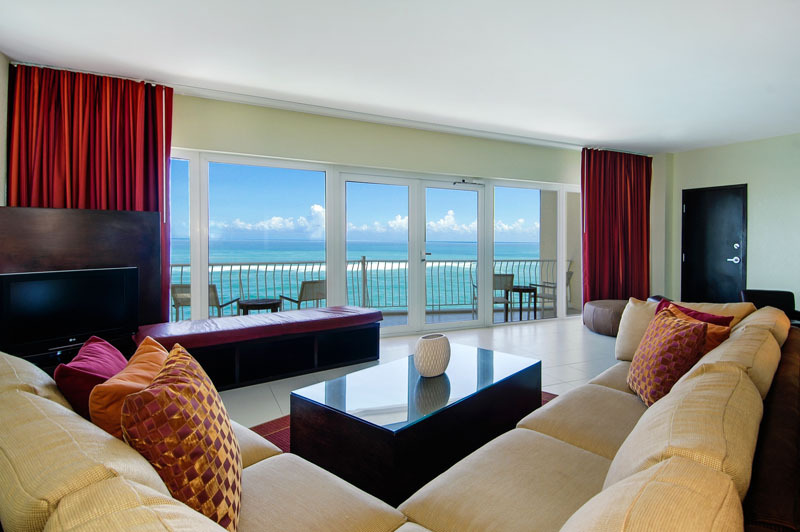 The resort offers a secluded beach and protected swimming area, where guests can snorkel above the artificial coral reef, in addition to the Condado Lagoon, where they can kayak beneath the sun. A 24-hour fitness center awaits with its top-tier exercise machines and free weights as well as sauna, steam room, and massage services. At nighttime, dining options continue to transport through the creations of acclaimed Chef Wilo Benet at Pikayo restaurant—from South American Sea Bass (Steamed Asparagus with Spicy Chorizo Emulsion) to Certified Angus “Bistec Encebollado” (Beef Tenderloin Cutlets, Sauté Onions, Pikayo Fries) to “Risotto de Grandules con Chicharron.” Neighboring Eight Noodle Bar—a restaurant featuring a large selection of sushi and entrées driven by Asian flavors—offers another dinner option. 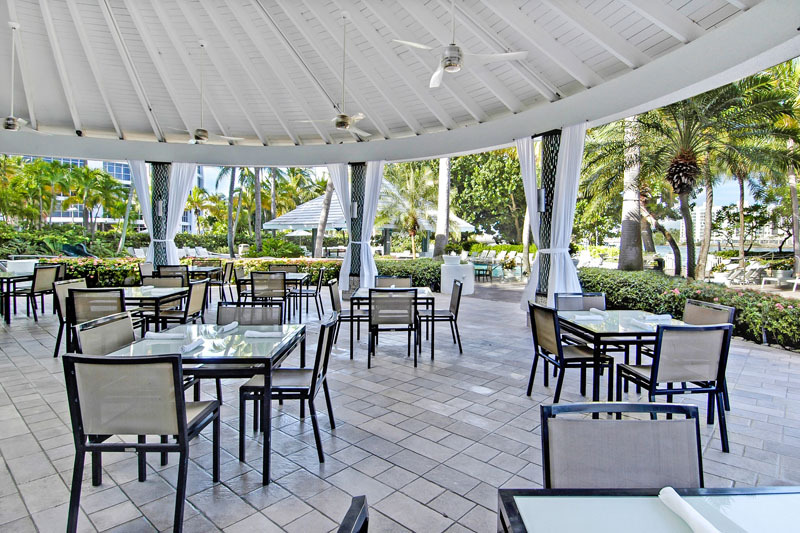 And the more causal Aqua Bar and Grill, with its selection of light lunches, complements the laid-back pool-side ambiance. 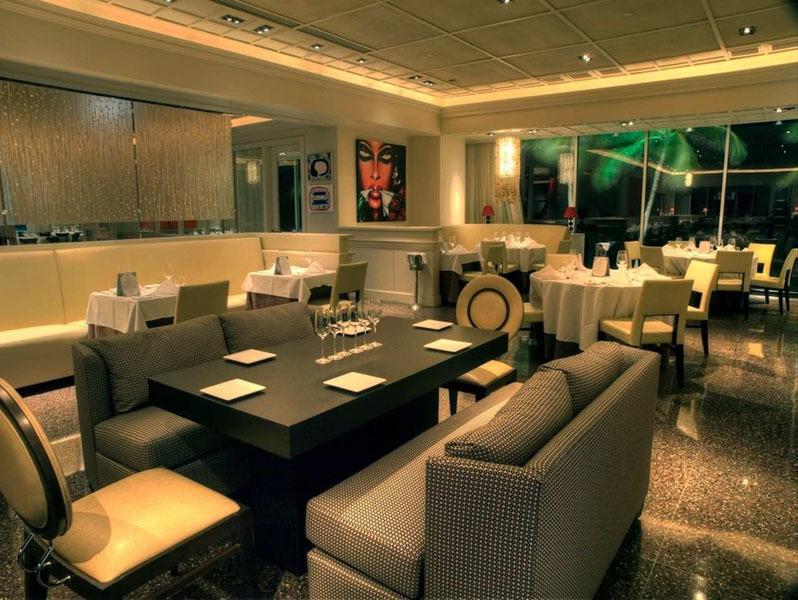 Plus, there are five other restaurants, bars, and lounges to suit all tastes, all hours of the day. With San Juan at your fingertips, of course, you are never far away from its array of restaurants, shopping, and entertainment. 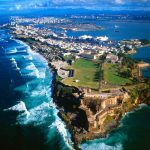 We recommend a tour of Old San Juan with Rico Sun Tours, the official service provider for the Puerto Rico Tourism Company. You’ll walk out to the vista point of the Castillo San Felipe del Morro, enter various points of interest along the colorful streets of the city, even get the chance to sample a version of the local Mofongo (the same dish served for dinner at Chops Steakhouse at El Conquistador Resort and Las Casitas Village). 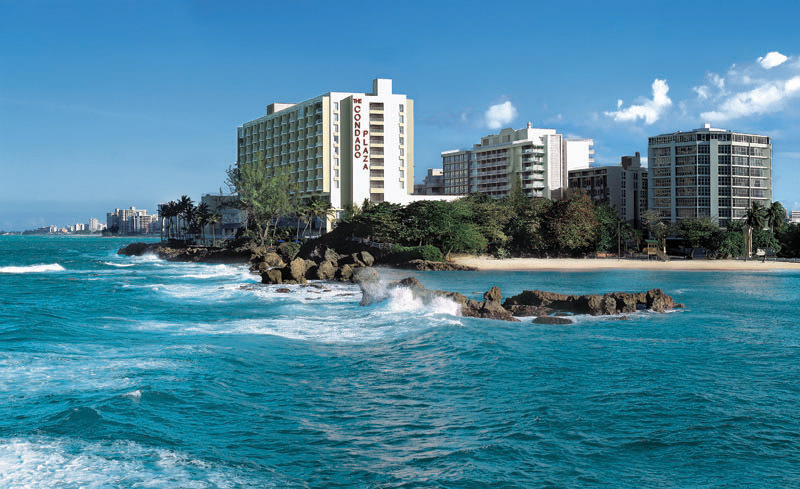 The city will unfold before you through the direction of a knowledgeable tour guide, adding yet another facet to your stay at the Condado Plaza Hilton. And once you’re back in your guest room—whether it’s to prepare for a wedding reception at a downstairs ballroom or to plan your next conference call—savor the best of work and play.